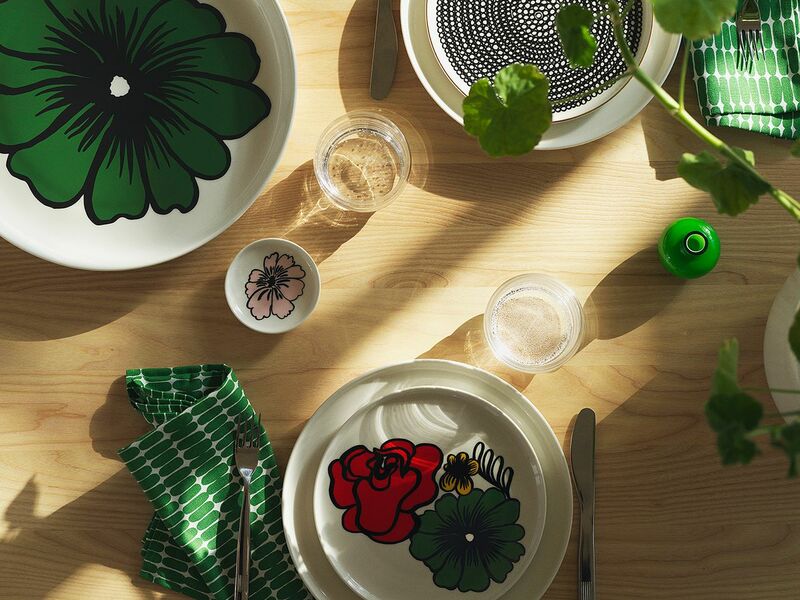 Marimekko’s popular Oiva tableware collection turns 10 this year. 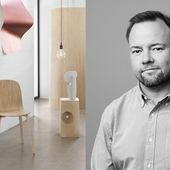 We interviewed designers Sami Ruotsalainen and Maija Louekari, who told us how the Oiva dishes and the new Eläköön elämä anniversary pattern were devised. 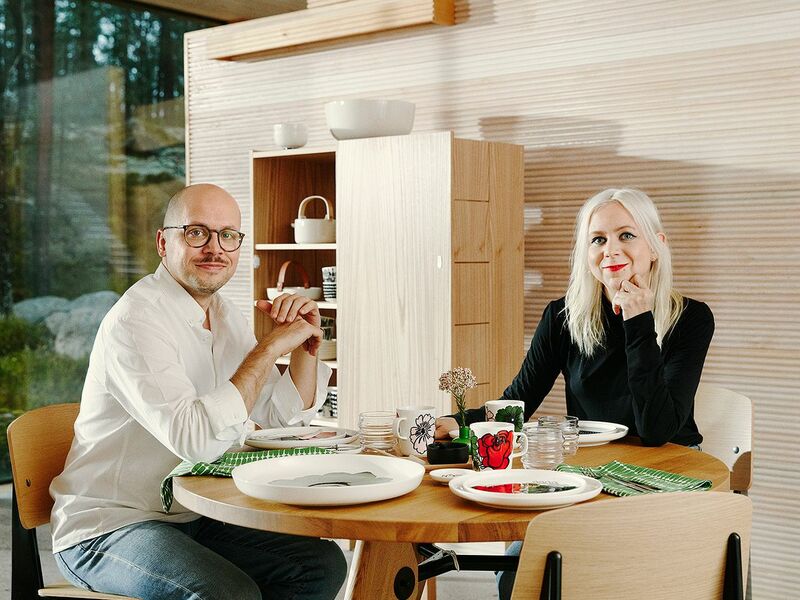 Designers Sami Ruotsalainen and Maija Louekari have been working with the Oiva tableware collection for over 10 years. What are the origins of the Oiva dishware design? 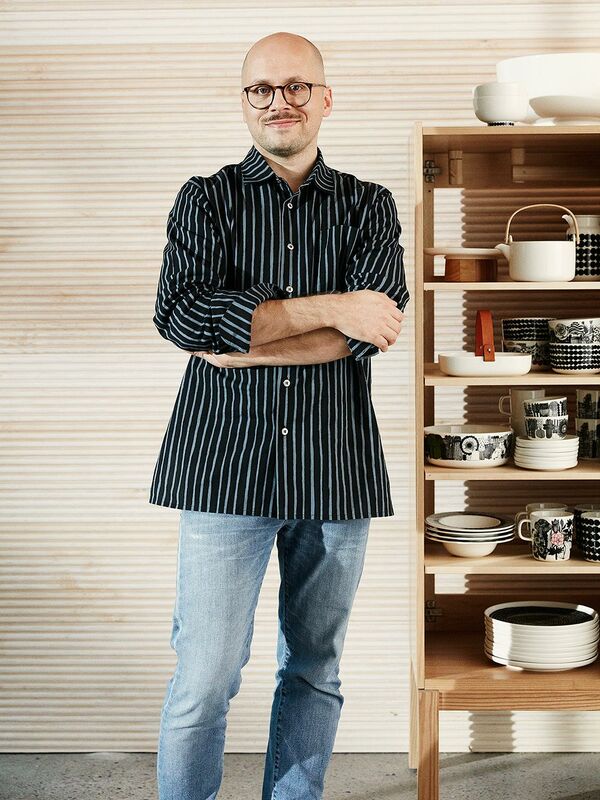 Sami Ruotsalainen: “Just over 10 years ago, I was asked to design a tableware collection consisting of 'bowls and mugs for eating and drinking', with a striking design that would go together with Marimekko's bold patterns. I was given a list of words to help me, from which I chose the most evocative terms to guide the design process: honest, relaxed, natural, practical, durable, modern and grounded. The first Oiva pieces were released in 2009. 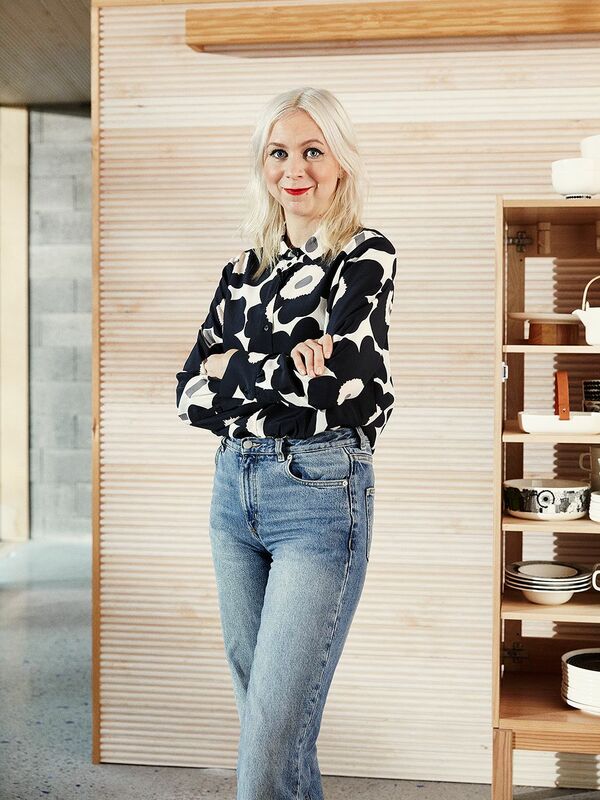 Marimekko's brief was to create a set of products that would remain contemporary for the next 100 years. 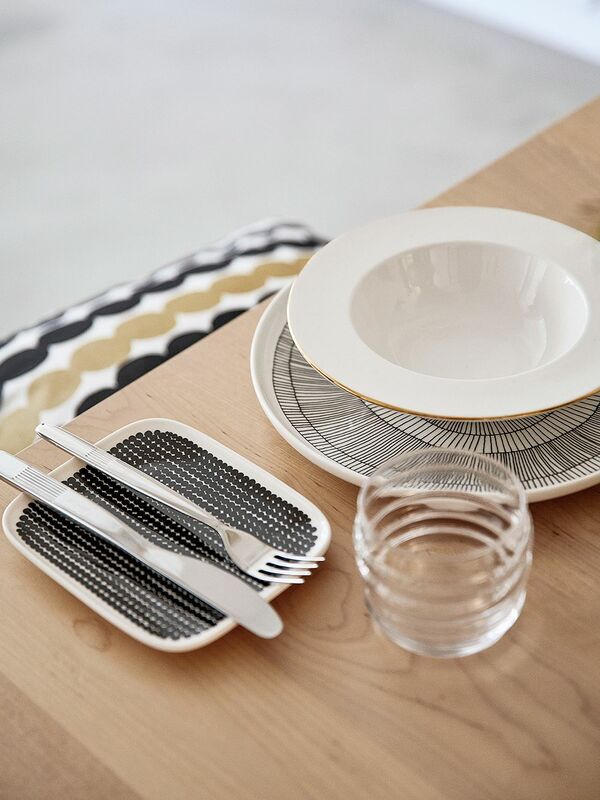 The iconic Siirtolapuutarha and Räsymatto patterns by Maija Louekari complement the design of the Oiva tableware. Featured, Siirtolapuutarha bowls and Koppa serving dish. How did the new Eläköön elämä pattern arise? 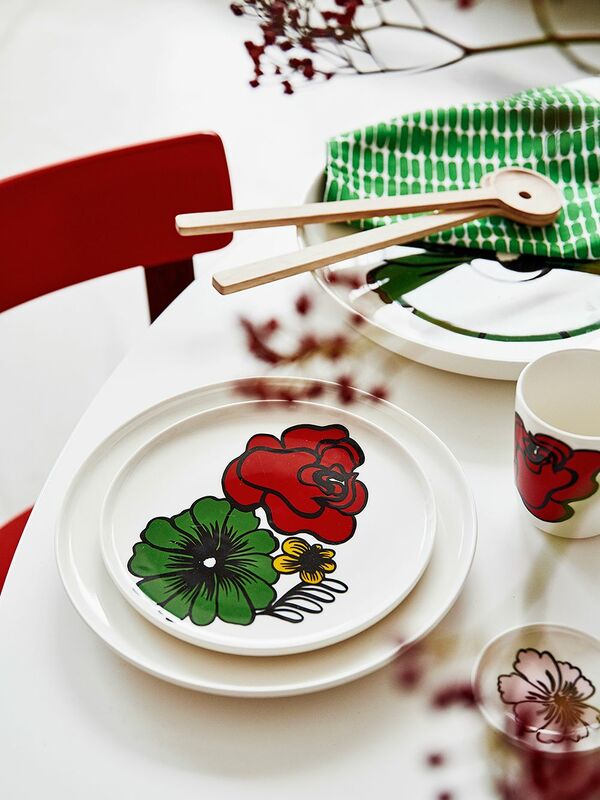 The Eläköön elämä plates from Marimekko's Oiva collection are adorned with Maija Louekari's vibrant floral motif. 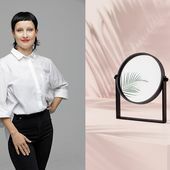 Marimekko's Eläköön elämä serving platter exudes the same charm that made Siirtolapuutarha and Oiva popular also abroad. The 10-year-old Oiva has achieved international success. What makes it of global interest? Oiva seeks to challenge common table-setting traditions. What kinds of changes have occurred in this regard over the last 10 years? Sami: “I think that table-setting customs and rules have become more relaxed in the last decade. People are less fussy about which element is used for what, and items from different collections can be combined to form new wholes. New and old, well-loved items acquire new dimensions when set side-by-side. The change is reflected in the globalization of national cultures as well as changes in local food culture: a different dish is needed for sushi than for Finnish home cooking, which also sets requirements for the table setting. New, enjoyable ways of using dishware arise when cultures meet. There is no 'correct' way to set a table. 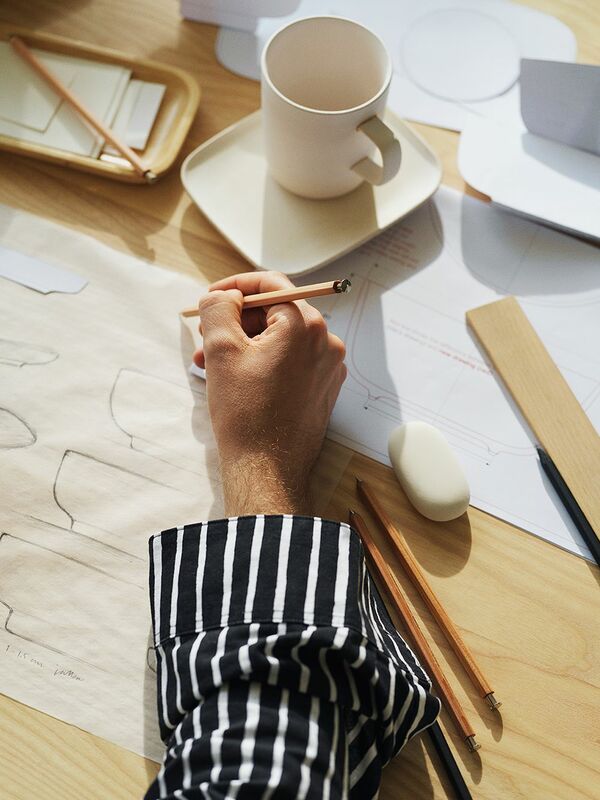 The Oiva tableware collection was designed for the home, as part of everyday life. 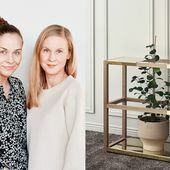 Flowers are an essential element of a festive table setting, but what matters the most, are the guests and a good atmosphere, say Ruotsalainen and Louekari. What is your most trusty dishware at home? How do you set a table for a special occasion? 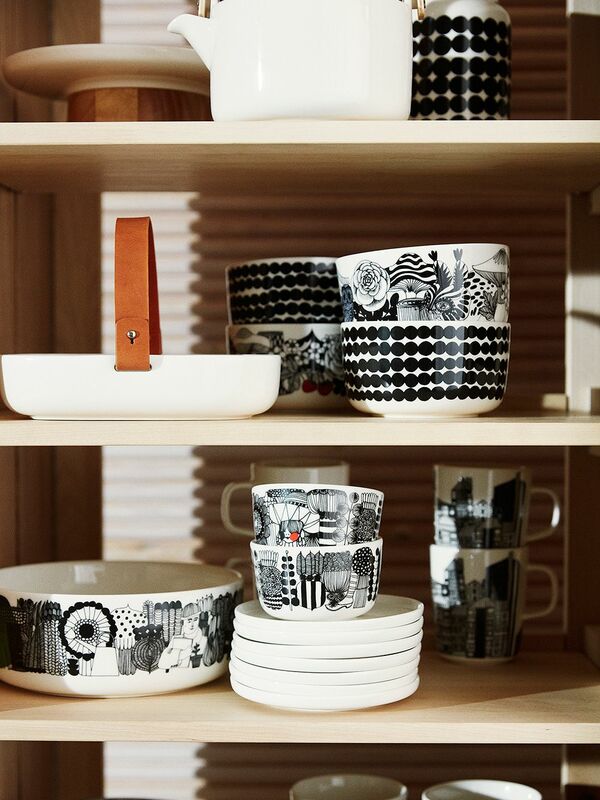 Which Marimekko pattern would you like to see included in the Oiva collection? The Oiva Anniversary tableware features beautiful golden details. The deep plate is perfect for serving soup, for example. 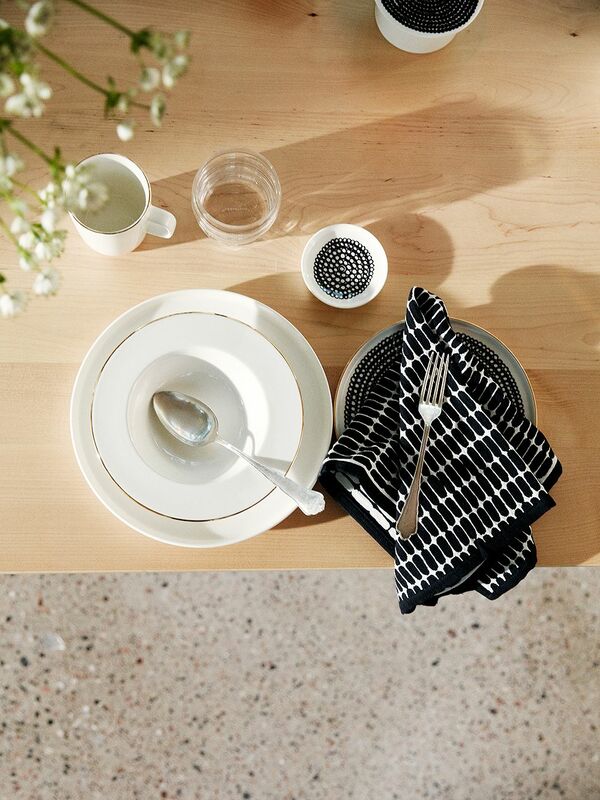 A bold combination of shapes and patterns creates a relaxed table setting. 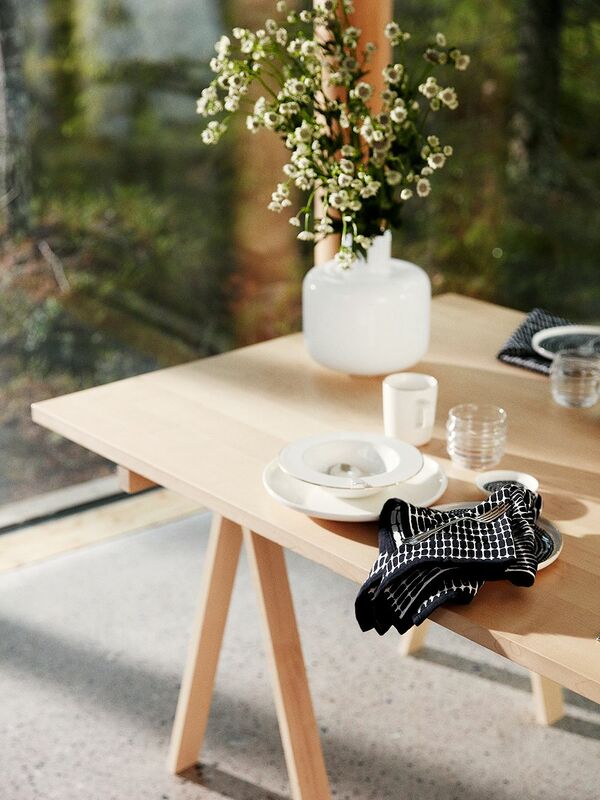 The white mug and the Siirtolapuutarha plates in the picture are from the Oiva Anniversary collection. Describe each other as workmates!